All the items branded PERCO are exclusively produced in Italy. PERCO production and design are therefore completely Made-in-Italy. 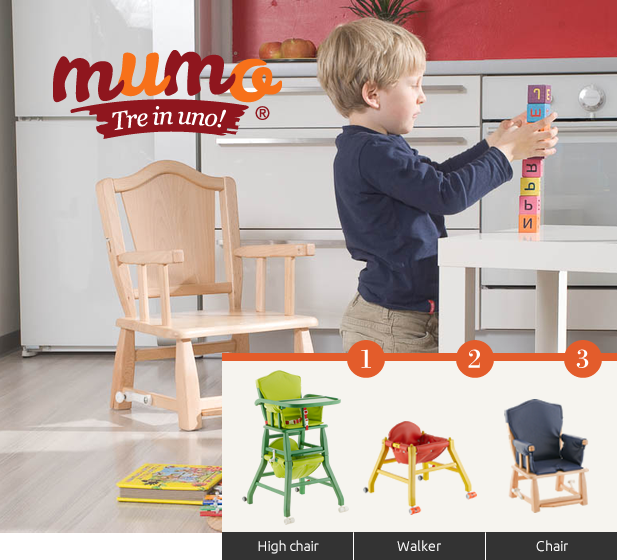 Along with its made-to-measure items produced to match the customer's specific requirements, PERCO has filed the patent of a bag rack device/objects holder suitable for almost every type of chair as well as of a BRAND-NEW high chair MUMO which, thanks to its multi-functional system, converts both to a walker and to a chair.